Globtier’s 24x7 enterprise IT Help Desk and Support Services is offered to reduce the wait time and to improve business efficiency for Small, Medium Enterprises & Startups. IT Infrastructure has become crucial, however, finding and onboarding of experienced technicians can be expensive and difficult. Our support services can enhance your existing & internal IT resources with full support and instant response to your routine and emergency IT related issues. Our trained technicians are fully capable of resolving all IT related issues in real quick time. Your workforce depends upon trustworthy, secure workstations and mobile devices to perform their day-to-day tasks. Globtier offers endpoint (PC & MAC), printer and mobile device support to resolve your technical concerns swiftly and improve dependability, productivity, and peace of mind. Globtier supports all the devices your company uses to stay productive — Desktops, Laptops, Macs and even mobile devices — and provides flexible service options ranging from basic monthly maintenance to 24/7 system monitoring and remote management. We understand how vitally important your workstations are, and our technicians will work around your schedule to ensure your team gets back to work as quickly as possible. 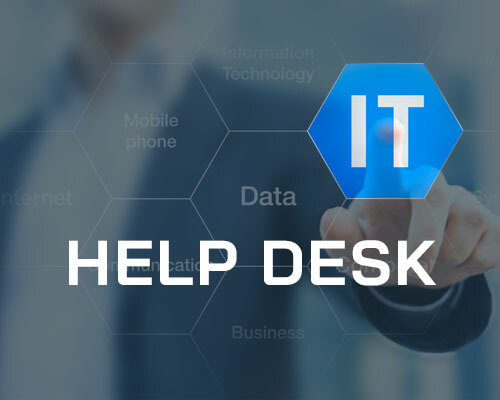 Globtier offers scalable & round the clock IT Infra help desk & support solutions that improves your team’s ability to identify, respond to crashes and downtime scenarios quickly, ultimately improves productivity, and enhances overall quality with a reduced budget. Additionally, we can deploy active monitoring and fault-detection technology that allows us to identify and address issues before they become disruptive. A single, lightweight piece of software installed once at each site. Onsite Manager performs secure, comprehensive scans of your environment to gather the up-to-date information that Globtier needs to manage your IT assets with unparalleled efficiency. With Onsite Manager, we can monitor and manage anything with an IP address, including: desktops, laptops, servers, managed switches, routers, firewalls, gateways, VoIP switches, IP phones, printers, faxes or scanners, off-the-shelf and custom applications, specialized equipment and environmental control devices, internal and external websites, SaaS resources, virtual machines and much more. Installed on equipment that can’t be directly monitored by Onsite Manager, such as roaming laptops, remote servers and home offices. Above services available with comprehensive plans – Talk to the experts at Globtier to understand more.